Known for their precious fire enamel jewelry and original techniques — created by a team of experts in the 1980s — Freywille has produced multiple collections inspired by van Gogh, from his iconic Sunflowers series to his Starry Night masterpiece. 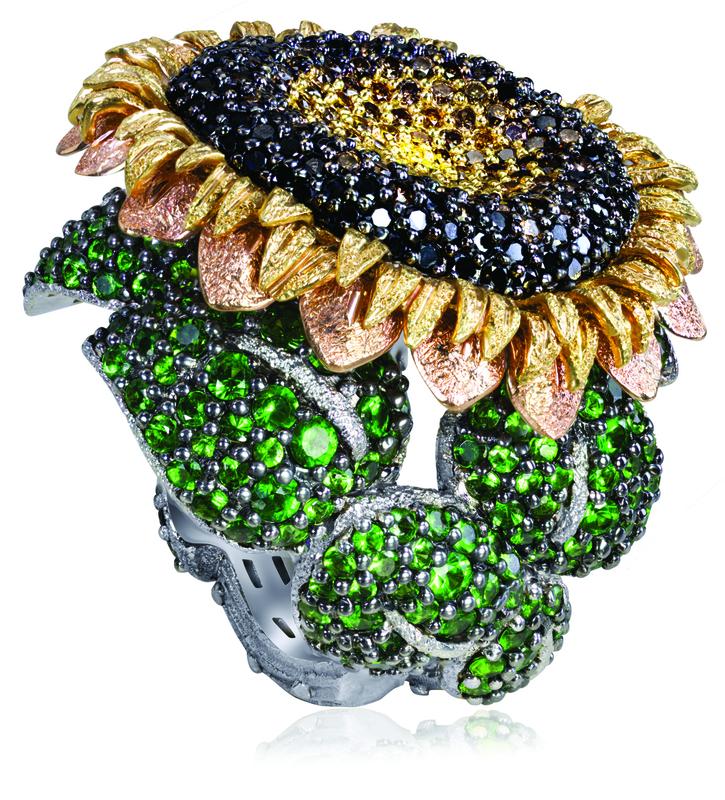 Another brand inspired by van Gogh’s paintings — particularly his series of sunflower still lifes, an iconic image associated most closely with the artist to this day — is New York City-based jewelry maker Alex Soldier. 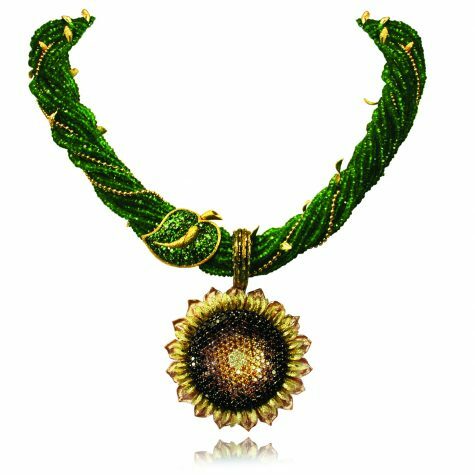 “I’ve always been mesmerized by van Gogh’s Sunflowers as they reflect life’s vibrancy and intensity and that’s what my Sunflower collection is all about,” says Soldier. 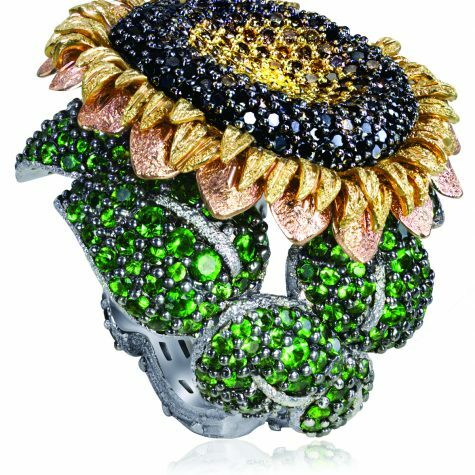 Handmade in New York City, the pieces from Alex Soldier’s Sunflower collection boast a combination of 18 karat white, yellow and rose gold studded with color diamonds. The three-dimensional manifestation of van Gogh’s sunflower studies are available in the forms of rings and necklaces, where the leaves of the flowers curve around the bend of the ring or the chain of the necklace, as well as brooches, pendants and earrings that bear the single sunflower bloom. “I breathe life into each one of my creations and they all tell their own unique story, starting from the materials used to the final outcome of visual and conceptual intricacy and detail,” says Soldier. 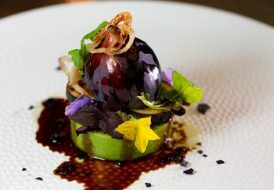 Another jewelry designer and manufacturer producing stunning jewelry products inspired by the famous Dutch painter is American designer Erwin Pearl, who has been making fashion jewelry since 1952. 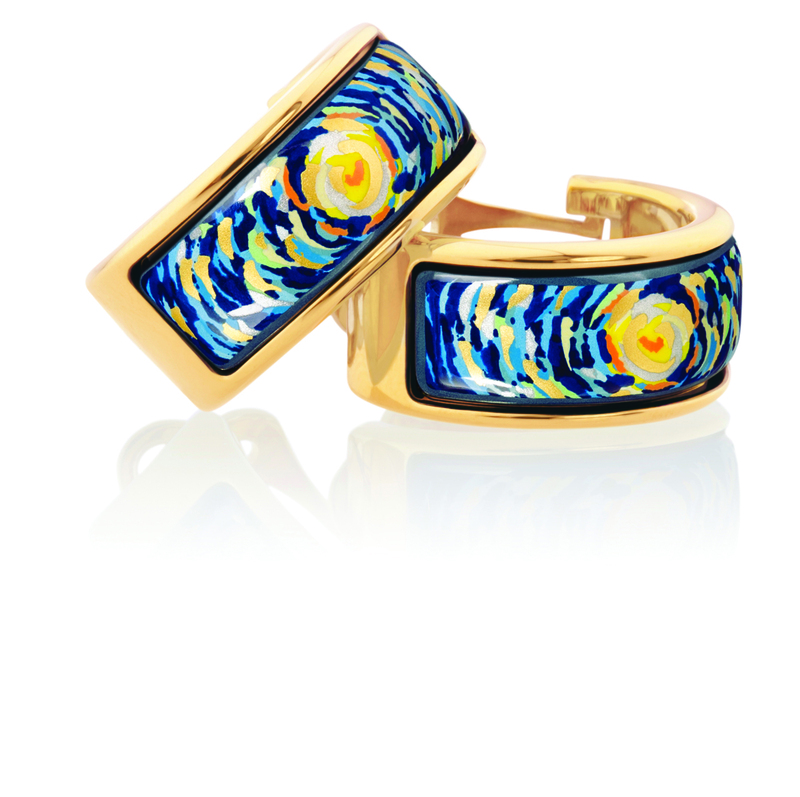 With official seals of approval from The Van Gogh Museum of Amsterdam, each piece of van Gogh-inspired jewelry by Erwin Pearl is packaged with a biography and a photo of the painting that the piece was based upon. “Erwin Pearl has always admired the Post- Impressionist works of Vincent van Gogh. 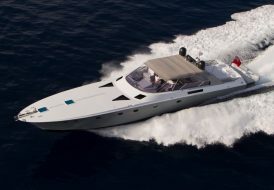 He felt that, for the art to be translated accurately, we would have to pay particular attention to details,” says Michael McGratty, vice president of sales for Erwin Pearl Inc.